What seems like ages ago, I wrote a little about the match-up between Iwata-san of Garage Work, and Tomoki-san; a shining example of this very rivalry I speak of. 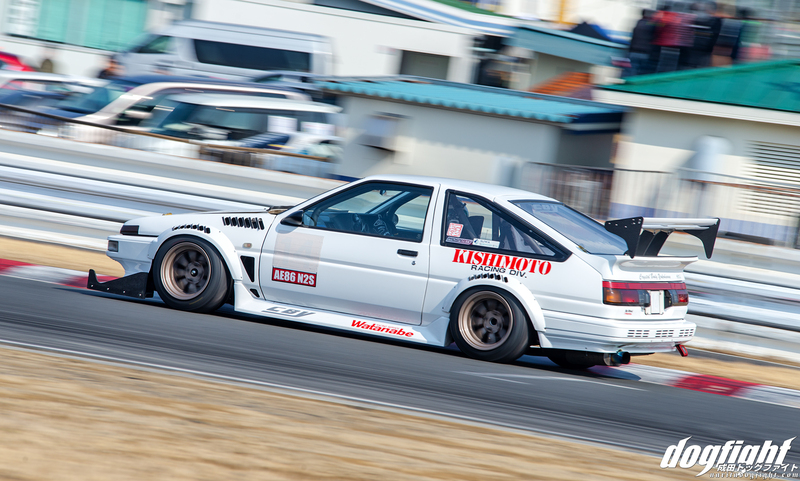 That competition is still very much alive today, and the last Attack event at Tsukuba had a good showing of 86’s to prove it. 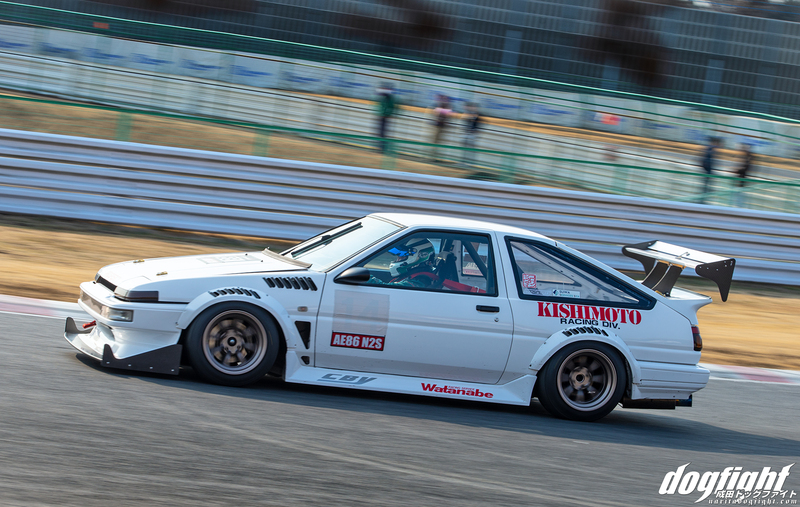 Among them though, Sato-san’s Trueno stood out to me most with it’s cleanliness and balance. The car makes about 200ps, and weighs in at a mere 1800 pounds; a very potent combination that doesn’t stress the basis of the chassis. His goal since last year was to break the minute barrier around the 2 kilometer track and this past February he finally met his goal. With a 59.990, he was just barely able to squeak under a minute – definitely a moment of triumph for Sato and the CBY team. As you’d imagine, CBY provides the aero that the car utilizes, including the one-off splitter/air dam on the front of the car. 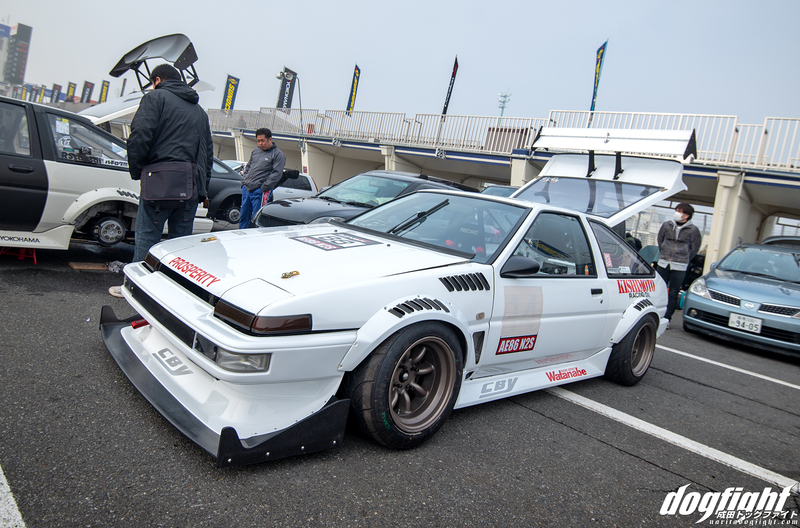 This car has been around for decades now, and has been through an incredible amount of changes over the years. The current reiteration is probably the most refined, and best looking in my opinion. 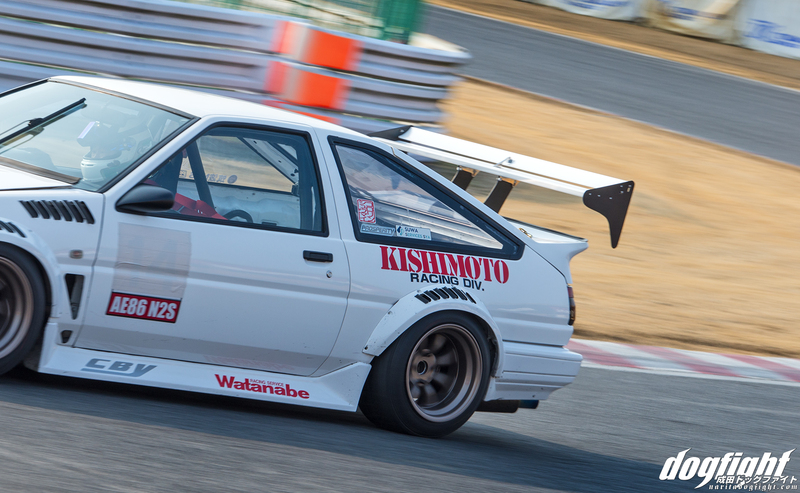 One could argue that Watanabes are a necessary accessory on any N2 styled 86; but it’s an argument you’d probably lose unless you were in favor of it. The bronze version on Sato’s car look perfect against the bright white exterior. 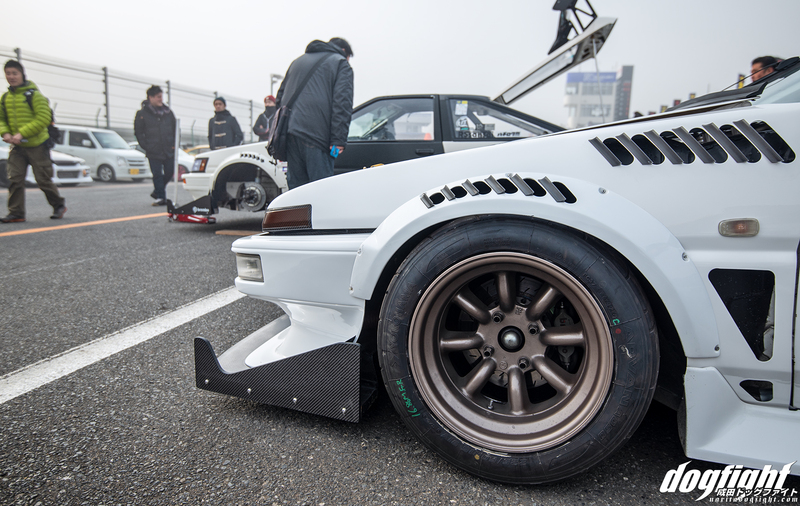 225/50/15 Advan A050s are utilized to maximize grip around the circuit. The interior is as minimal as you’d expect, with only the dash and door cards remaining from the original interior; the remainder being stripped in favor of weight loss. An OMP steering wheel, and Recaro SPG are the focal point of change. The DOHC 4AGE has been rebuilt from the ground up with all new internals, and custom ducted individual throttle bodies. The crew was tending to an issue after the cars first outing, but I never got a chance to find out what. Whatever it was, it couldn’t have been too serious, as the car went on to complete the remainder of the sessions. 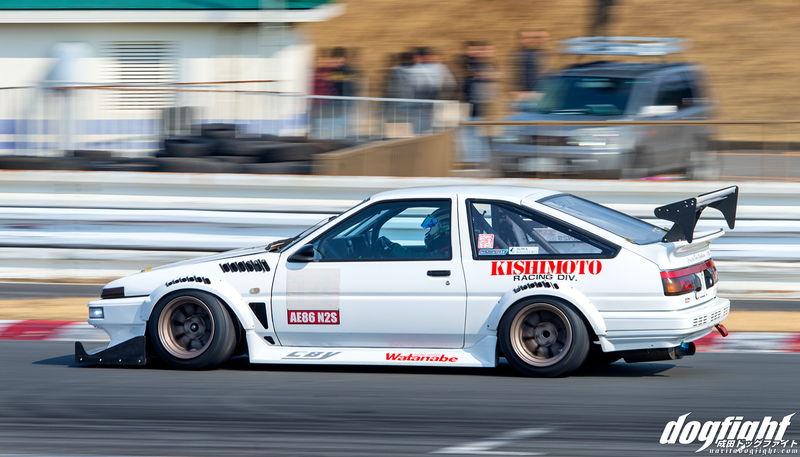 The car looked amazing out on circuit; especially with the GT wing in the back balancing out the aggressive front. …on his way to becoming a member of the coveted sub-minute club at TC2000. It’s great to see the players that are keeping these old chassis’s alive and well, and I hope to see Sato and the CBY team in the paddock for many years to come.